National Infertility Awareness Week (NIAW) is a campaign sponsored by RESOLVE, the National Infertility Association. 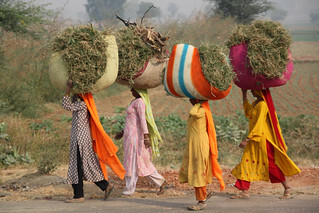 The goal of this annual event is to bring awareness to the struggles and difficulties faced by women, men and couples throughout the United States - and globally. 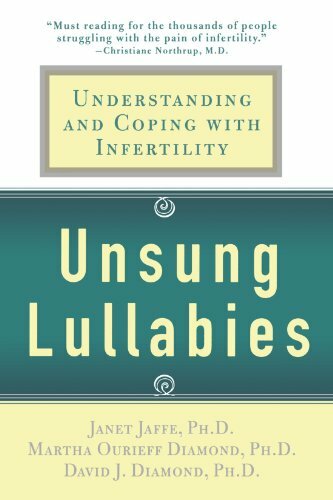 Infertility is no longer a disease we should be expected to suffer from in silence and misunderstanding about its causes, its treatments, and the ways in which infertility can affect an individual's emotional well-being. The next National Infertility Awareness Week will take place April 24 - 30, 2016; the theme for the year has yet to be announced. Read on if you'd like to learn more about why NIAW is important, what political issues are currently at the forefront of infertility rights and campaigning, and how you too can get involved. What Do You Know About National Infertility Awareness Week? Have you heard about National Infertility Awareness Week before? Yes, and I've participated in it as well. I've heard of it, but have never been involved in it. * In America alone, infertility affects over 6 million women and their partners - that's about 10 percent of the reproductive age population. One in six couples will encounter difficulty getting pregnant and experience infertility to some extent. * Infertility is not always "the woman's fault" - indeed, infertility affects male and female reproductive systems nearly equally. In approximately 30% of all infertility cases, there are both male and female factors causing difficulty in achieving successful pregnancy. * In approximately 30% of cases, the causes will remain "unexplained infertility" despite full medical work-ups and extensive diagnostic testing. This only points out the complicated nature and many causes of infertility, and how even today medical science cannot provide all of the answers. There is no such thing as a "miracle cure for infertility", despite thousands of websites and unscrupulous individuals promising such. The causes and reasons for infertility are far too numerous and different to all be "solved" by one single approach or drug product. 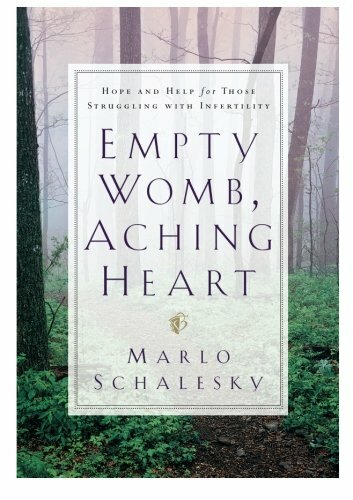 * Infertility is a disease. Albeit it took until 2009 for the World Health Organization to officially define infertility as a disease. This was an important milestone in recognizing the serious medical nature of infertility and helping to bring it more recognition and hopefully governmental and scientific support. 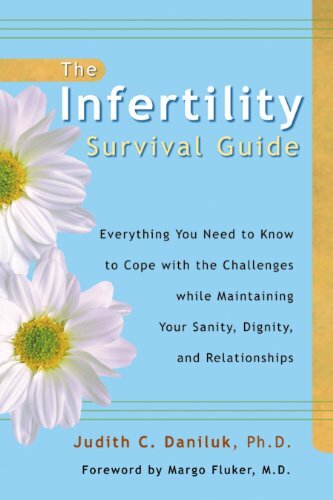 * Infertility is a disability. In 1998, the U.S. Supreme court held that infertility is a disability under the Americans with Disabilities Act (ADA). However, most insurers in the United States still provide no coverage - or only extremely limited coverage - for medical treatment related to infertility. Many of those affected with infertility have to struggle in the workplace not just to afford expensive IF treatments but to receive fair treatment and understanding if they must take time off for procedures, testing, or rest during a difficult pregnancy. RESOLVE is the National Infertility Association of the United States. It is the organization behind National Infertility Awareness Week every year, and the first place to go for resources, community, knowledge and legislative news related to infertility treatment, support and awareness. Are you dealing with this condition? Arm yourself with information. 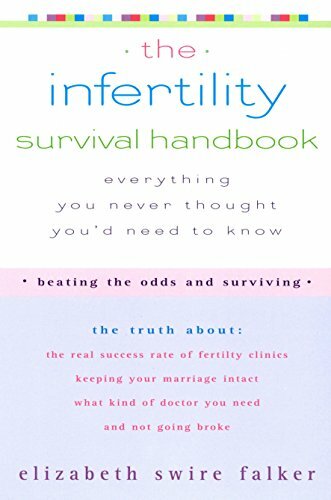 Wherever you are on your infertility journey, there are books and references out there which can help you out. Some focus on the medical aspects of IF: possible causes, treatments and medical procedures. 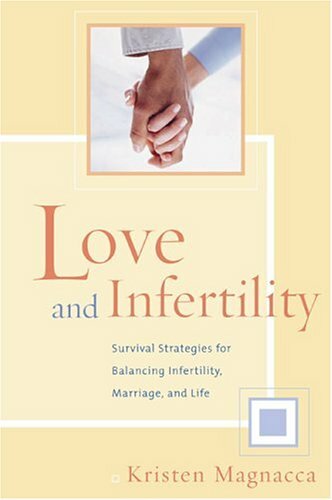 Others look at the aftermath of infertility and how to move on in your life - whether you end up having children or not. Infertility can leave a person feeling isolated, alone, as if no one knows what you are going through. No one can understand. But that is absolutely not the case. When 1 in 8 people are affected by infertility, chances are very strong it has affected someone else in your life. Probably several people. They may just be too afraid, too ashamed to talk about it - or simply not want to invite others into their personal affairs. The theme of NIAW for 2015 was to embrace the idea that "You Are Not Alone". To share knowledge, compassion, and awareness to others. 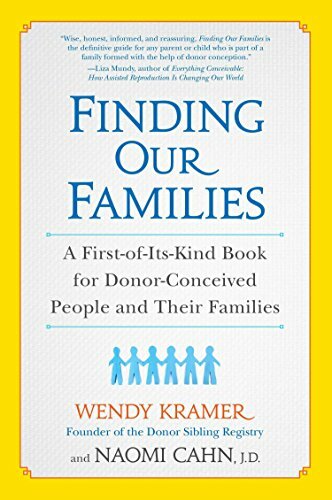 To share individual stories to illustrate how every one's path through infertility may be different but they all share common threads of experience and emotion. You can read the 2015 "You Are Not Alone" blog posts in the RESOLVE archives. 2014 was the 25th anniversary of National Infertility Awareness Week. As such it was a year of reflection on what we've come to know about infertility, and an opportunity to pledge to learn more. 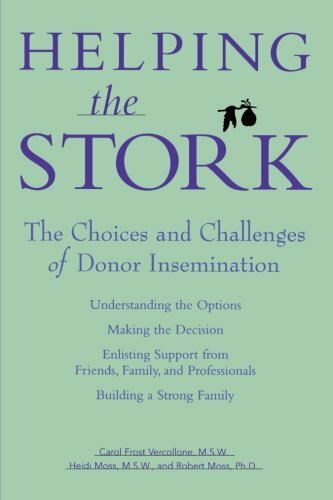 More about the causes and treatments for infertility, more about when to talk to your doctor or a specialist, more about the support avenues and communities out there for those facing infertility themselves. In 2014 there were a huge number of responses to the "Resolve to Know More" blog challenge, and you can read 4 pages of those articles in the RESOLVE archives. RESOLVE has launched their 2013 NIAW campaign with the theme "Join the Movement". What does joining the movement mean? It can mean something different to each of us. It can mean getting involved in RESOLVE or other organizations promoting IF awareness and activism. It can mean participating in a Walk of Hope event to raise money for IF awareness and support. It can mean being open about your IF struggles to others so that it is no longer a silent, "taboo" condition. It can mean showing your friends and loved ones affected by IF that you care about what they are going through - even if you have never had to deal with infertility yourself. Far too often, infertility is a disease that is ignored by healthcare professionals, the government, insurance companies and the media. It is not seen as "important" as other health issues and conditions, despite the fact that so many people are affected by it worldwide. People affected by infertility can also feel ignored by friends and loved ones because of their condition! 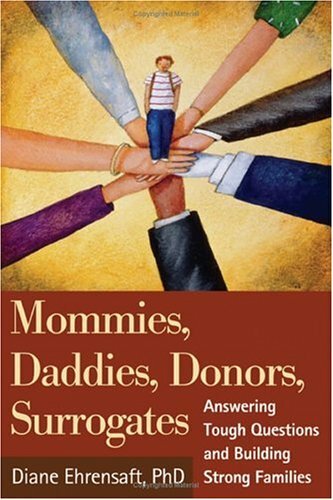 At family gatherings, more attention is lavished on those with young children, those who have "continued the family name". In work environments, those without children are often asked to or expected to step in and do extra work when co-workers have responsibilities related to their children. Also, sometimes we "ignore" the signs and possibility of IF until it is too late for effective treatment. We put off getting tested and talking to our doctors about our concerns - which can be dangerous as infertility can sometimes be a symptom other underlying health issues. For NIAW 2012, the Bloggers Unite campaign asked people to write about the "Don't Ignore..." theme. You can read the "Don't Ignore Infertility" blog posts in the RESOLVE archives. Do you think people ignore infertility and those affected by IF? Absolutely, and it's time for that to change. Maybe, but it's not that important an issue. No, infertility gets the attention it is due. I don't really know. I never think about infertility. "As soon as you adopt, you'll get pregnant!" "If you just relax, you will get pregnant." "If God wanted you to have children, you would have them." "I don't need to talk to anyone about this. It's private." "I'm less of a man because I can't get my wife pregnant." Bust an Infertility Myth: Infertility is not a "four letter word" and Infertility doesn't go away. Bust a Myth: "I was infertile because I wrote novels/had a career in my twenties and thirties"
Bust a Myth: You're young, you have plenty of time. Myth: You Cannot Pursue Treatment and Consider Yourself a Believer/Religious. You've made some great points. 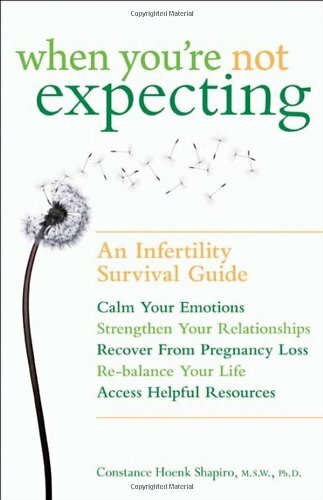 I know of a couple who's really struggling with infertility, as they're both older and they wonder when it will happen. They don't talk much about it, but it's quite an issue. I am happy it was recognized as both an illness and a disability, but I don't understand why couples have to spend so much money if it's now treated as a disability.